In R.E.M. fandom circles, the debate about the band’s pre- and post-Bill Berry albums still rages rather heatedly. 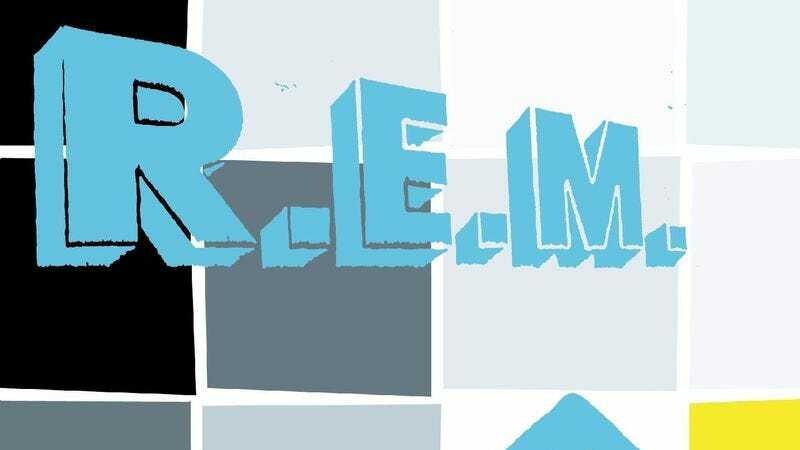 The pivot point in the argument tends to be 1998’s Up, the first R.E.M. album without Berry as drummer. I’m personally a big fan of the album—the mix of claustrophobic guitars, ethereal percussion, and electronic flourishes captures universal feelings of confusion, imbalance, and, ultimately, optimism that resonate with me—but I absolutely see how fans of, say, “Fall On Me” might dislike it. It’s to R.E.M.’s credit that the band set Up‘s transitory template with the record’s spacious, electronic-infused first track, “Airportman.” Michael Stipe’s murmured, buried vocals are a nod to the band’s early days, but otherwise, the song signifies a clean break from the past. Sonically, it’s a study in contrasts—comfort (the digital-steady beats clicking underneath, a recurring chiming arpeggio, brief washes of piano) and uncertainty (random strokes of electric guitar, an amorphous structure)—while a close listen to Stipe’s lyrics reveals a dream-like scenario involved with the sterility and loneliness of air travel. While “Airportman” at first seems like merely an intro (and background) music, repeated plays unfold a rather intricate internal logic that finds weird comfort in the downtrodden.